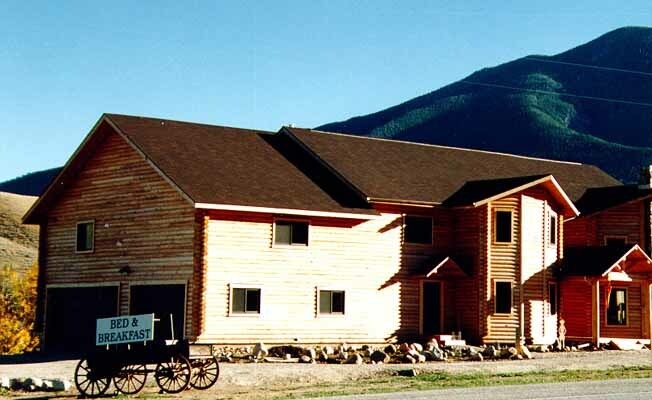 Inn on the Beartooth, open year round with an elevation of 5,800 feet, offers a special retreat for those who enjoy log living with a true western atmosphere. The Inn offers our guests a wonderful view of the Beartooth Mountains. Across the road is the Silver Run Elk Refuge, which can be enjoyed late winter, early spring, as the elk come down from the mountains to take in the new spring growth to feed on. On Highway 212, which is in front of the Inn, you can find people walking, running, rollerblading and bicycling as the elevation increases to offer those interested great exercise. Guests can spend a day enjoying the spectacular drive over the Beartooth Mountains to our first National Park, Yellowstone; you will see beautiful wildflowers and wildlife. Being located at the beginning of the Beartooth Mountains gives guests access for hiking, biking, walking, day backpacking, birding and the enjoyments of nature and wildlife. Our views are awesome! Depending on Mother Nature, skiers can enjoy downhill skiing from mid-November to mid-April at Red Lodge Mountain and for the Nordic skiers we have numerous areas with beautiful views. We are just 8 miles from Red Lodge Mountain. Every year, July 2-4 is Rodeo time in Red Lodge and in August a celebration features our festival of nations. Labor Day provides guests with a fine arts and craft fair and the Wagons West Horse Drawn Parade.